George was raised in Southampton by his Father George (b.1870), a house decorator, and his mother Cecilia (b.1872). He had 2 younger sisters, Chriselda (b.1894) and Lillian (b.1899), and a brother Walter (b.1897). The census records show that the family moved from Wilton Street in the St Marys area (1901) to 5 Chapel Road (1911) and by the time of his death in 1919 his parents were living at 45 Clausentum Road, Bevois Valley. 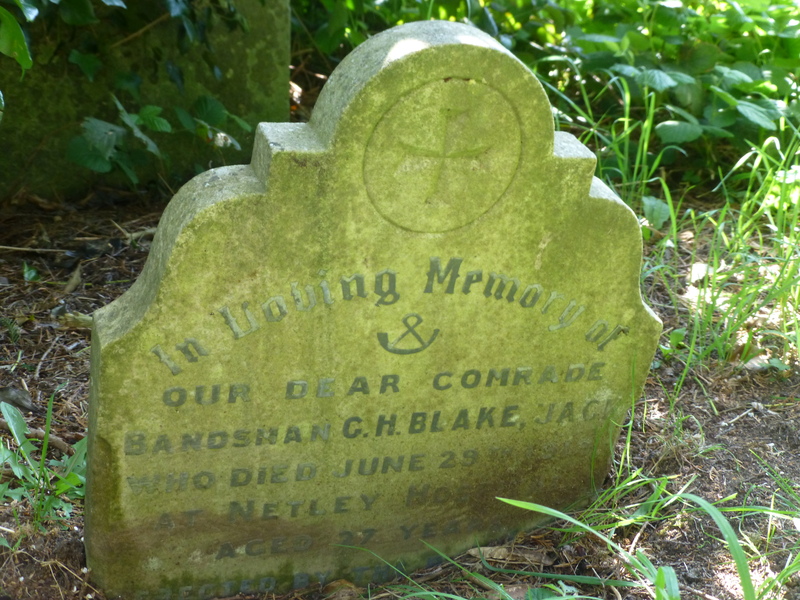 Inscribed: In Loving Memory of our dear comrade bandsman G H Blake, Jack, who died June 29th 1919 at Netley Hospital. Loved by all. Other than his regiment and service number, few records exist online of George’s war service or the cause of his death. The date of his death and the fact that his body was buried in his hometown suggests that he may have returned home and died as a result of wounds or possibly spanish influenza, but this cannot be confirmed. George is commemorated on the Southampton Cenotaph and is buried in a commonwealth war grave at Southampton Old Cemetery (132.P.43). His headstone bears the insignia of the Hampshire Regiment and a cross. George was entitled to the British WarMedal and the Victory Medal.